El Refugi is our shelter for hikers and groups. Is a new building that we built in traditional style next to the Orri. It has a capacity of up to 16 people. In summer, El Refugi operates as a mountain refuge. 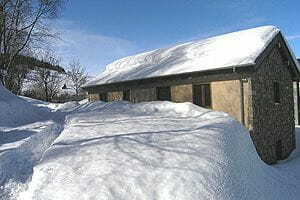 Rent for single beds, with reduced prices for hikers passing (GR). All customers share the pool and areas of El Refugi and Orri houses.